Clarity braces feature a comfortable design with a translucent appearance. Made from a hard ceramic material, these braces won't stain or discolor. 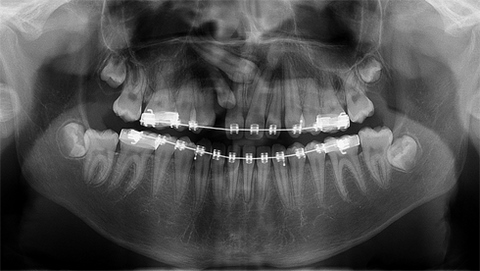 With the same performance as metal braces, many patients are now choosing the clear option Clarity! In-Ovation Ris a revolutionary new system of braces that is not only faster for your orthodontist to use, it also can significantly shorten treatment time. It's great looking and smaller for greater comfort. Plus, it offers better hygiene than conventional braces. According to studies by the American Association of Orthodontists, untreated malocclusions can result in a variety of problems. Crowded teeth are more difficult to properly brush and floss, which may contribute to tooth decay and/or gum disease. Protruding teeth are more susceptible to accidental chipping. Crossbites can result in unfavorable growth and uneven tooth wear. Open bites can result in tongue-thrusting habits and speech impediments. Ultimately, orthodontics does more than make a pretty smile it creates a healthier you.